The Administration corporate tax cut, one of the largest in U.S. history, also strongly benefitted the energy industry, as it did other industries. No doubt that Trump’s bullying offended European sensibility, but despite the German protest regarding outside interference in its domestic economic affairs, and its intention to complete the Russian pipeline, Germany is quietly building up LNG importing facilities, "as a gesture to American friends." 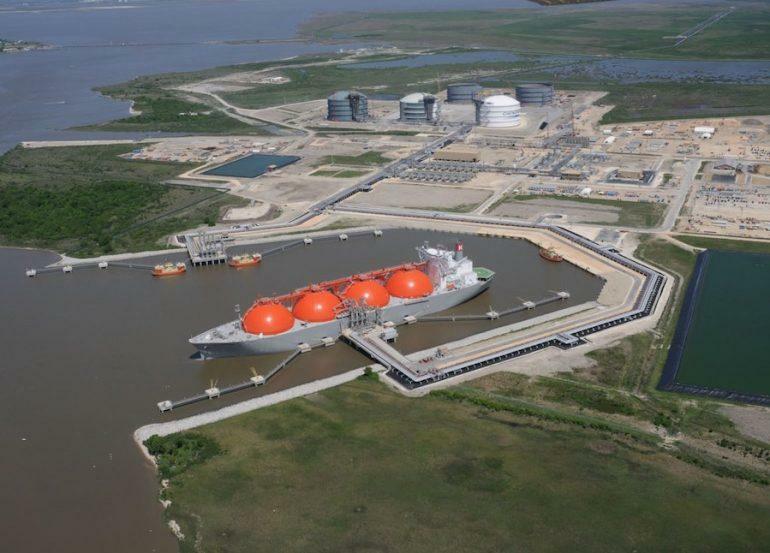 Most energy experts agree that it is inevitable that U.S. LNG will eventually become a component of European markets, despite its significantly higher price to Russian and Norwegian gas, if for no other reasons to keep the peace with America, Europe's largest ally, and assure Europe’s access to the U.S. market. The risk to this scenario is the presumption that everyone involved really wants a solution to the trade dispute, but there is widespread suspicions that U.S. tariffs on China may be less about fair trade and more about economic warfare to contain China’s growth. George Friedman's "Geopolitical Futures" recently noted that "The U.S. is beginning to see it [tariffs] more as a strategic opportunity to contain Chinese assertiveness than as a play to invigorate U.S. manufacturing." On various Asian websites, there remains a stalwart band of journalists, led by Pepe Escobar, who maintain that Europe, Russia, China, and Iran will band together to thwart U.S. sanctions on Iran, and that 'Iran's oil sales will be totally unaffected. They also hold strongly to the opinion that China will not yield to U.S. threats and ultimatum. This despite the fact that major energy companies, like Royal Dutch Shell and Total have already fled Iran in fear of US sanctions, while major countries are severely cutting Iran imports. Sanctions against Iran will certainly reduce its exports substantially, with the worst case estimates of a loss to the markets of 1.5 million barrels of oil per day. This will also open opportunities in under supplied markets that will almost certainly be exploited by U.S. and other competitors. Currently, Japan and India have agreed to major reductions of energy imports from Iran. Recent news has it that Sinopec, China’s largest oil and gas refiner, under threats of US sanctions, also agreed to severely cut imports from Iran. It's no secret that nearly all of Iran’s competitors, it's OPEC 'partners', will go after those under supplied markets, as will the U.S. Some observers believe that because the upcoming election is uppermost in the minds of both U.S. political parties, a trade victory with China is extremely important to the Republican election campaign. If so, their thinking goes, a deal will result in easing tariffs with China by November. Trump himself recently stated that he's ready to talk trade with China, but continues to add the qualifier, "not now." Many Trump watchers interpret this to mean that 'getting tough with China' plays well to Trump's base, boosts the Republican election prospects, and afterwards a trade deal is likely to be struck. Any trade deal with China could also be used by the U.S. as a template for deals with Japan, India, and South Korea, the next largest Asian importers of natural gas. It can hardly be coincidence that, as in Europe, these energy importing countries are threatened by US tariffs over unfair trade. "the broad impression in China appears to be that Trump isn’t actually interested in a deal – certainly not one that China could accept – and that this is just the first major salvo in an emerging Cold War and that instead ... the world needs to get ready for a new cold war with China. What about Venezuela, a country estimated to have the largest oil reserves in the world, also laboring under U.S. sanctions? It's also a country about which the Administration has made no secret of its plans for a possible U.S. military invasion to topple the Maduro government. Why go public with that story now, with only a little more than a month towards U.S. Congressional elections? There is widespread speculation that this announcement may be a trial balloon, as part of the preparation for laying the ground work for an invasion aimed at bolstering Republican election prospects. To date, there has been no sign of opposition to these threats from Democrats. It's no accident that sanctions are aimed at the U.S. largest energy competitors, Russia and Iran, nor is it coincidence that the largest energy importers, Europe, China, Japan, south Korea are also under threat of U.S. tariffs or sanctions. Instead, it clearly shows that the U.S. is using the threat of economic warfare and possible military conflict as leverage to open markets to the newest player on the world's energy market, American LNG. If the U.S. is successful in these deals, it's likely that in future, there will be a parallel attempt to make inroads for US crude export to the very same oil importing countries, relying upon the very same LNG game plan.